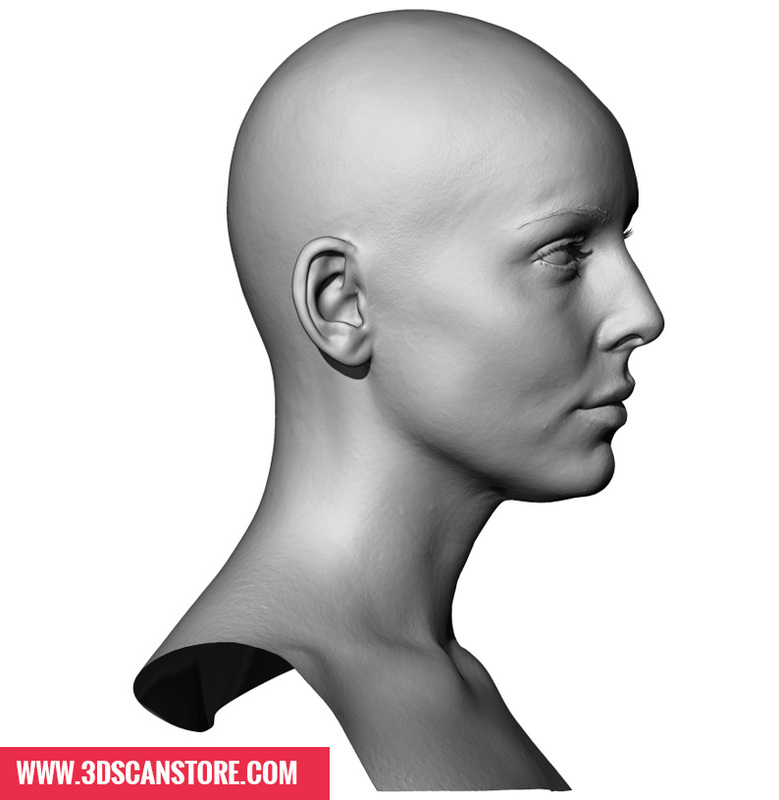 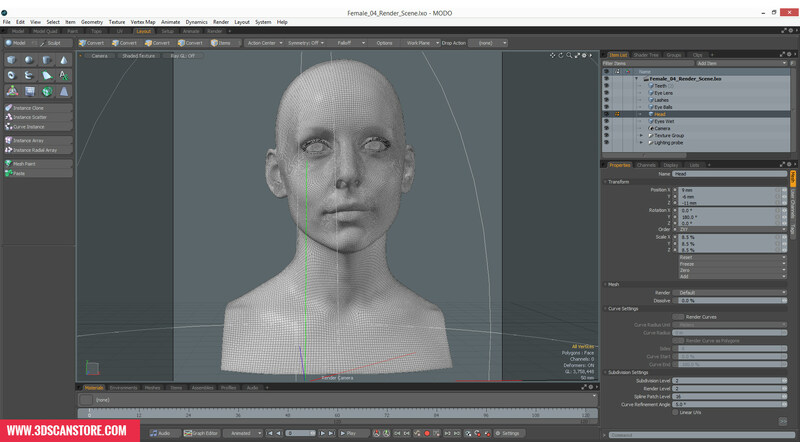 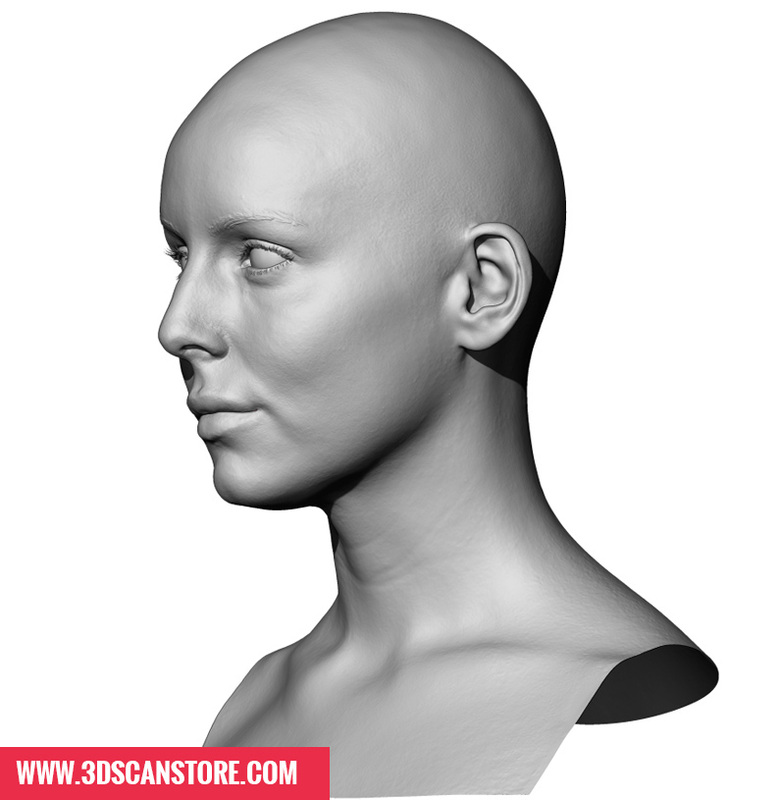 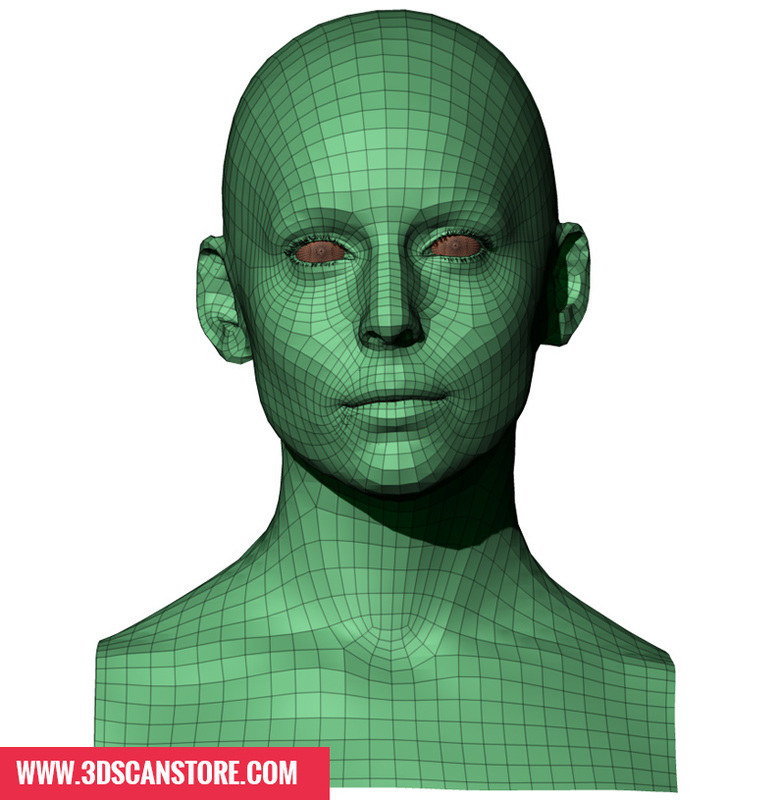 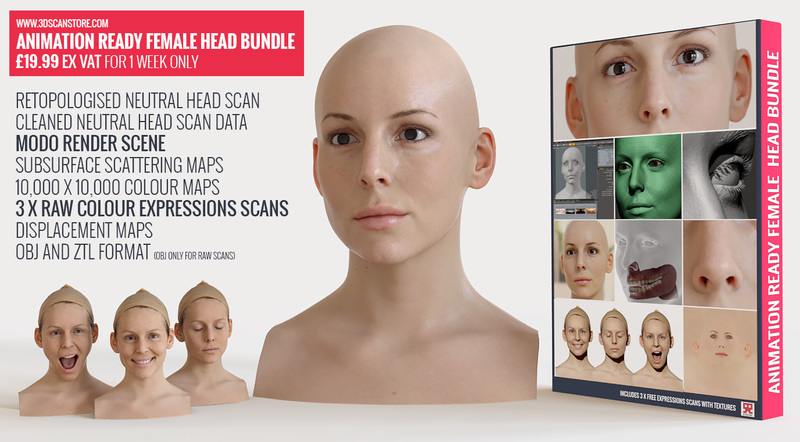 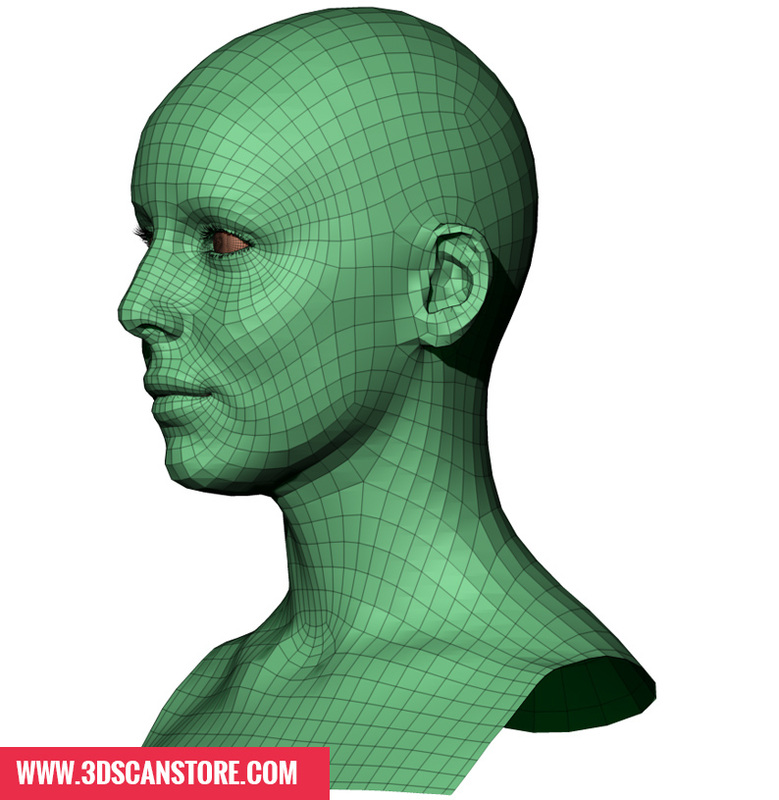 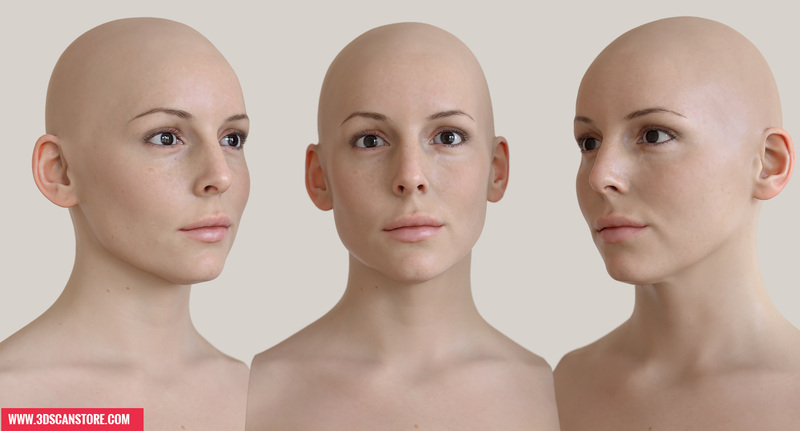 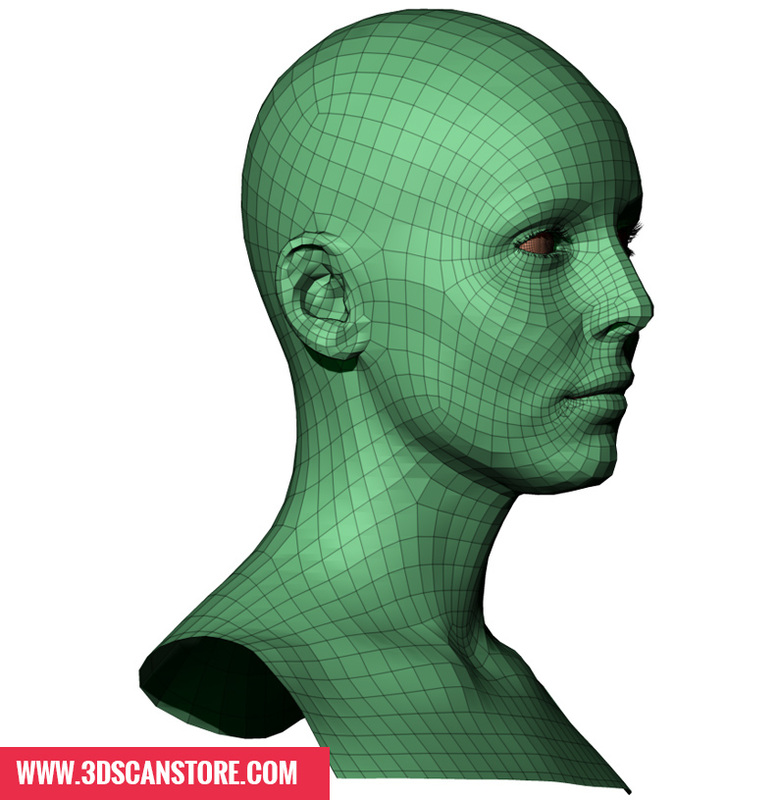 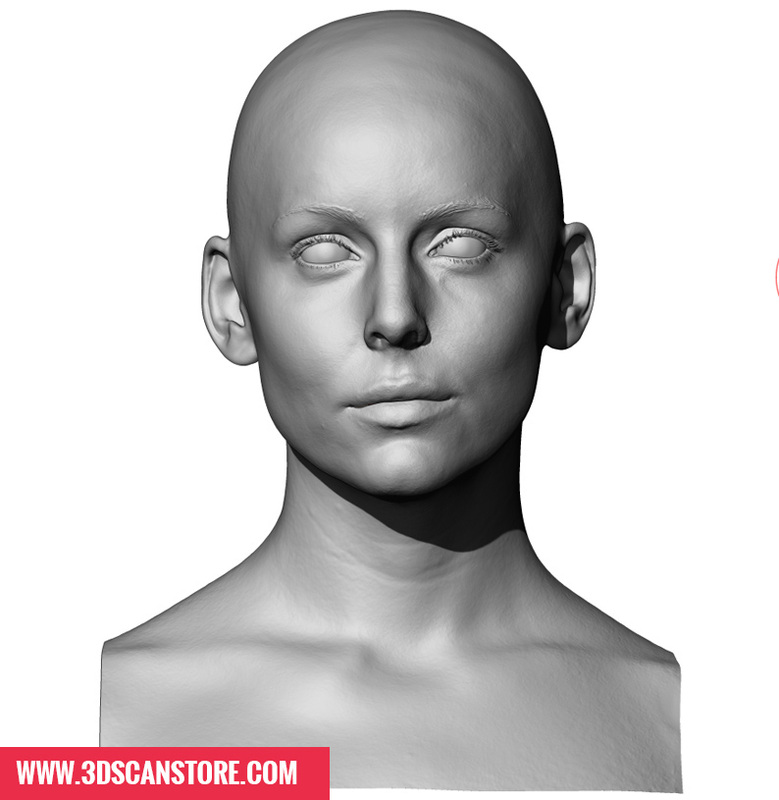 A fully retopologised Animation ready 3D head scan created from our Female 04 Cleaned Scan data. 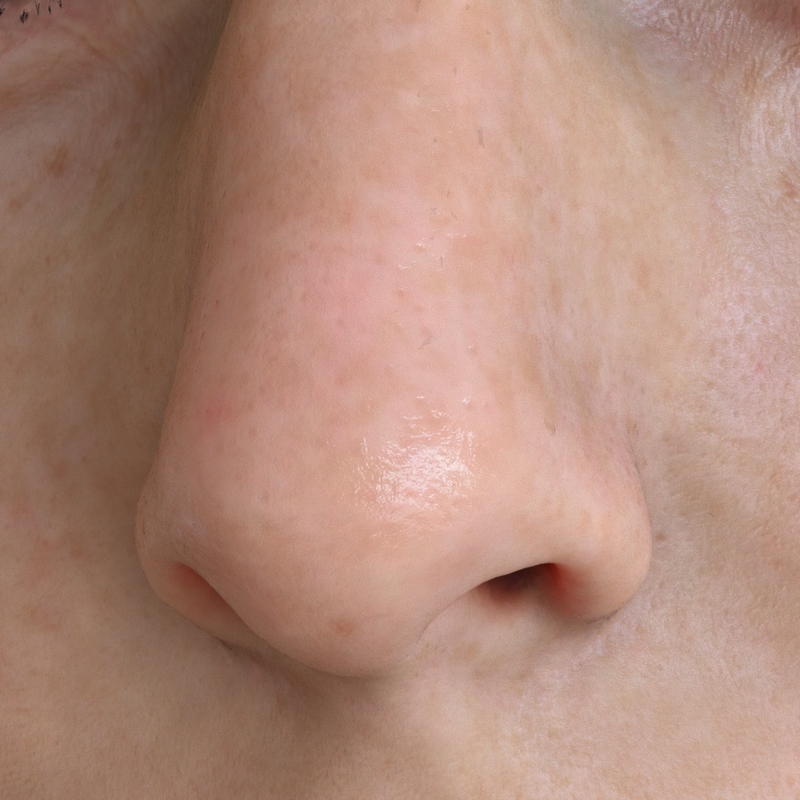 This is not just the model we have also take the time to create a Modo render scene with a full subsurface scattering shader and lighting setup complete with a free HDRI for lighting. 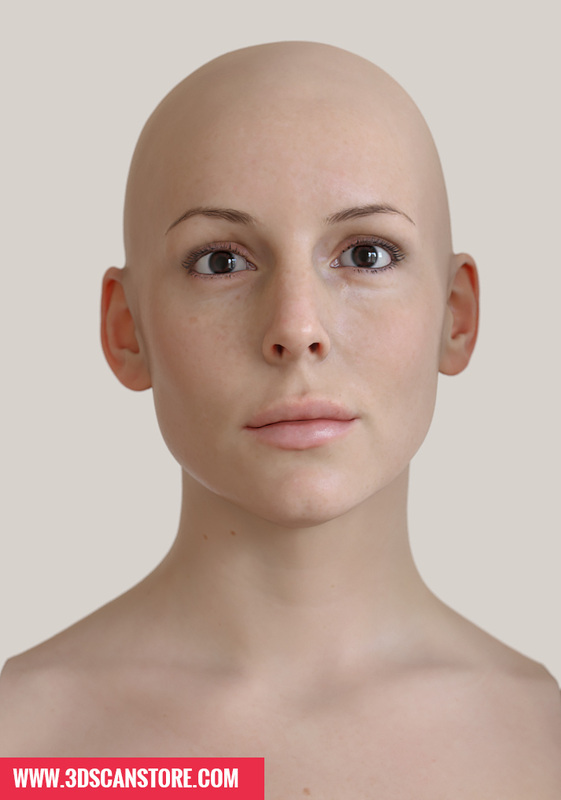 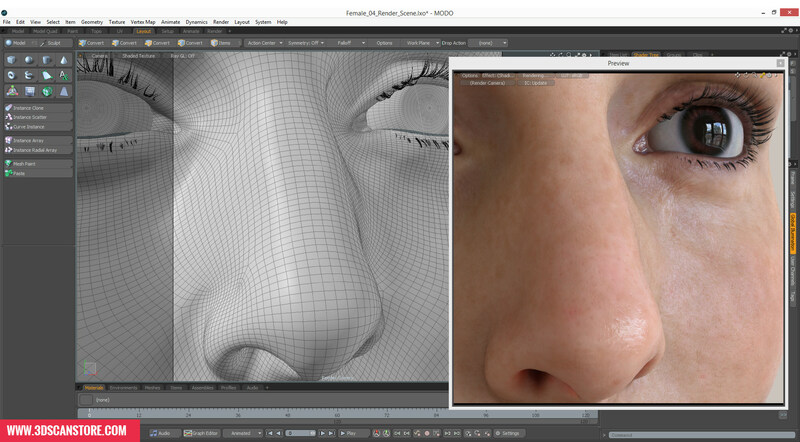 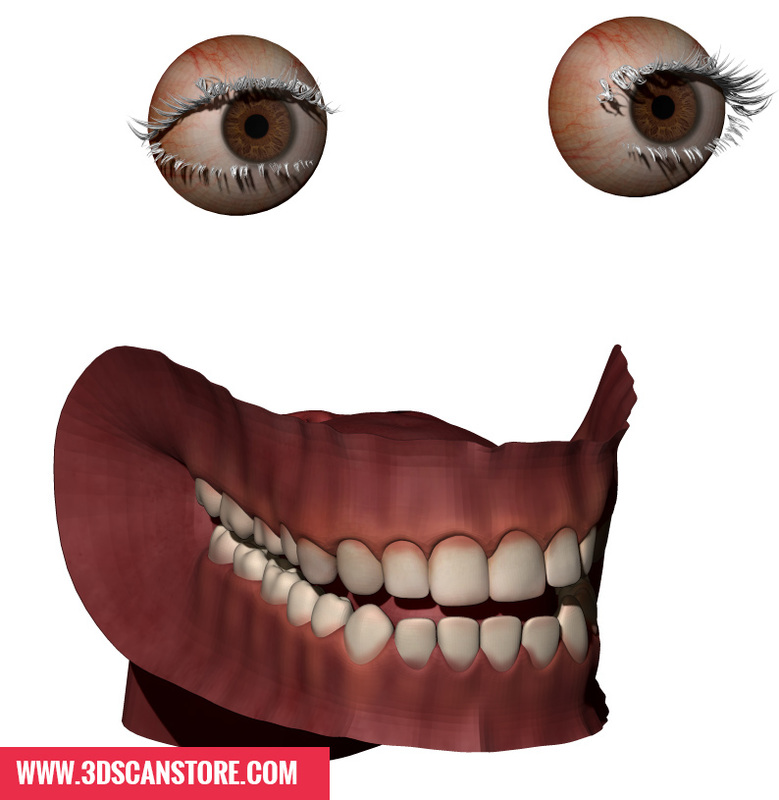 Also included are 3 x RAW expression scans with 10,000 x 10,000 texture maps and a cleaned neutral head scan.